I saw a lot of The Island in my Twitter feed at the beginning of the year and I was so excited to get to finally check it out when it showed up on NetGalley. The Island is told in alternating POVs of Theo and Galian. Theo is a captain in the Raven army while Galian is a prince of Kylae. Raven and Kylae have been at war for the past fifty years over Raven declaring its independence from Kylae. When Galian is sent on his first mission to bomb Raven, he is hesitant and ends up having to retreat when his presence becomes known to the Raven air-forces. However, Theo spots his plane and is determined to shoot the prince down. Galian ends up being able to parachute to the ground unharmed while Theo’s plane ends up being the one to crash on the island. As a doctor, Galian feels it is his duty to help heal Theo who then in return teaches him how to survive on the island. A huge part of this book was the politics between the two countries and how these views affected both Theo and Galian. The world-building was rich. I enjoyed learning about the two different cultures of Raven and Kylae and about certain aspects came to be on the island. This book is very light on fantasy aspects. I loved how different Theo and Galian were from each other and how they both had to put aside some of their prejudices in order to help each other survive on this desolate island. I also really liked how there wasn’t any instant love but that it took time for them to overcome hate, become friends, and then fall for each other. Since there are still two more books, I think it could’ve slowed down even more than it did, but I’m still excited to see where it’ll go in the next books. Even though I liked The Island, there was just something off. I think it may have been that it was hard for me to connect with the characters, especially at the beginning, and I think this in part is due to the first person POV using a past tense voice. I just think the story would have flowed better and that I would’ve enjoyed it even more if it was in a present tense POV. 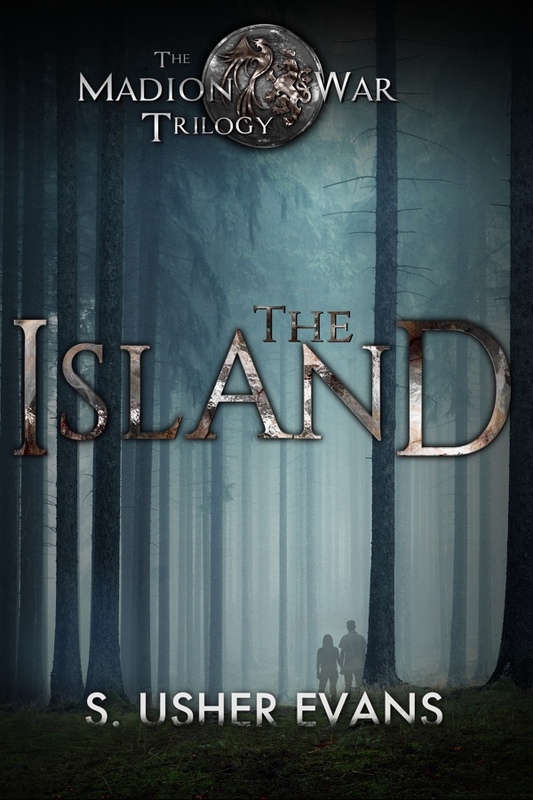 Overall, I enjoyed the plot of the story very much and definitely think that The Island is a good read. I’m excited to see where the story will go in the sequel! I think it can be done very well and have enjoyed books written in first person past tense, but I think there was just something off with this one. Are you planning on reading The Island? I get a sense of adventure from this one and I liked that the characters spent time getting to know each other and build the relationship. I don’t mind alternating POVs as long as its done right. Glad you still liked the plot, even though you couldn’t connect with the characters. Thanks for your honest review though. Yeah, I did think the book was good and I usually really do like alternating POVs! I just think past tense in 1st POV just made this one seem off/little awkward. Towards the end, I definitely wanted to know what happened with the characters, but they just seemed a little removed. Have you read The Island? ?